Concrete Kitchen Countertop. Photo courtesy of Nicolás Boullosa. Do you hate your kitchen counters — or the counters in your bathroom, laundry room or garage? Maybe they’re ugly laminate, or tired old tile with dingy-looking grout. Or maybe they’re OK, but you’re just ready for a fresh new look in the kitchen, bathroom, laundry room or garage. If you’d like to remodel your kitchen countertops, bathroom vanity or other countertops to give them an edgy, urban look, why not consider updating them with concrete? 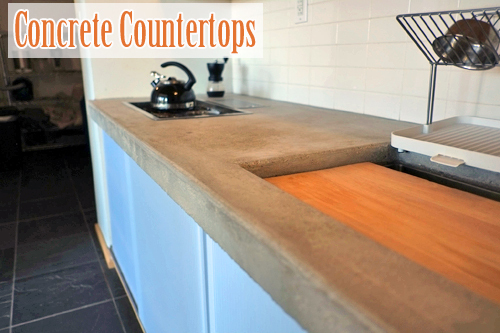 When I first heard about concrete countertops, I must admit, I thought the idea seemed a little weird. After all, I grew up with the idea that concrete was for sidewalks. Until lately, I’d never heard of anyone using concrete to make a countertop. Well, now that I’ve seen some of the innovative, trendy ways that contemporary homeowners are implementing their concrete countertops, I have to admit the idea is much more appealing than I initially thought. 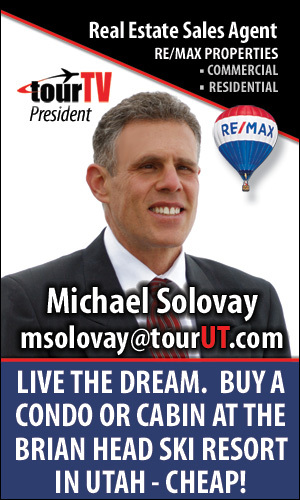 This solution is totally affordable. It can look really slick, and it can also solve some tough interior design problems at the same time. There are some fantastic reasons to consider tackling this sort of DIY project, and lots of helpful resources online to help you do the job right. This page includes links to all the tutorials, info, tips, resources, and inspiration you’ll need to decide whether DIY concrete counters are right for your kitchen or bathroom and get started on your own concrete counters if you decide to move forward. A follow-up post from Abeautifulmess.com: How did that hold up? — The short answer — Elsie’s cement counters held up great, and she reported that she’s planning to do another one at her place soon. Photo Credit: Thanks to Nicolás Boullosa, the photographer whose work you see at he top of this page. Nicolás has graciously made this photo available through a Creative Commons license.